This pack contains 6 Black pens in nib sizes 0.05, 0.1, 0.2, 0.3, 0.5 and 0.8. 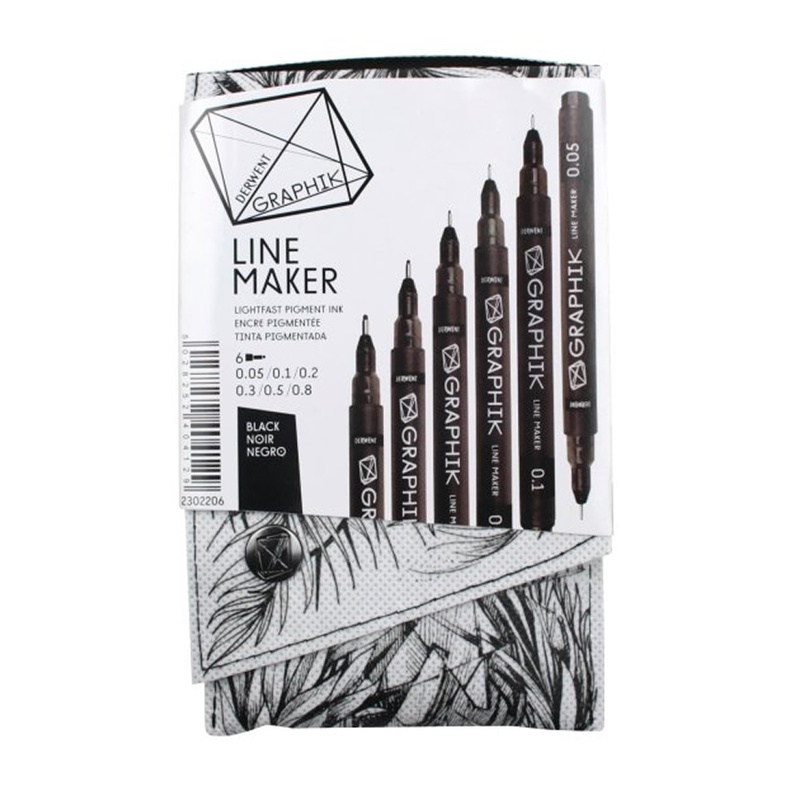 Showing 3 Derwent Graphik Line Maker Black Pen Pack of 6 reviews. Average rating of Excellent. Would you like to write a review? Excellent pens, ideal for clear precise line drawing. Great product, cheaper than Amazon, took about a week to arrive, would use again. I love doodling and these pens are great for that. They come in a wide range of nib widths giving you choices. The nib is childproof as in remains intact after a child has used it. My 7 year old loves drawing with ink and so I let him use my pens. I have no qualms because those nibs are strong. The ink colour is good too though not permanent. Amazing price and speedy delivery too. Get them!